We hope you had the most wonderful Thanksgiving. Whether your day was quiet or you had a house full, our hope is that you remember how much you are loved and how thankful we are for you. For the next three days everything in our online shop is 30% off! Use code GIVETHANKS at checkout. Whether you are looking for art supplies, vintage fabric handbags, jewelry, art or a vintage find…come on over! We will get it wrapped up right away for you. 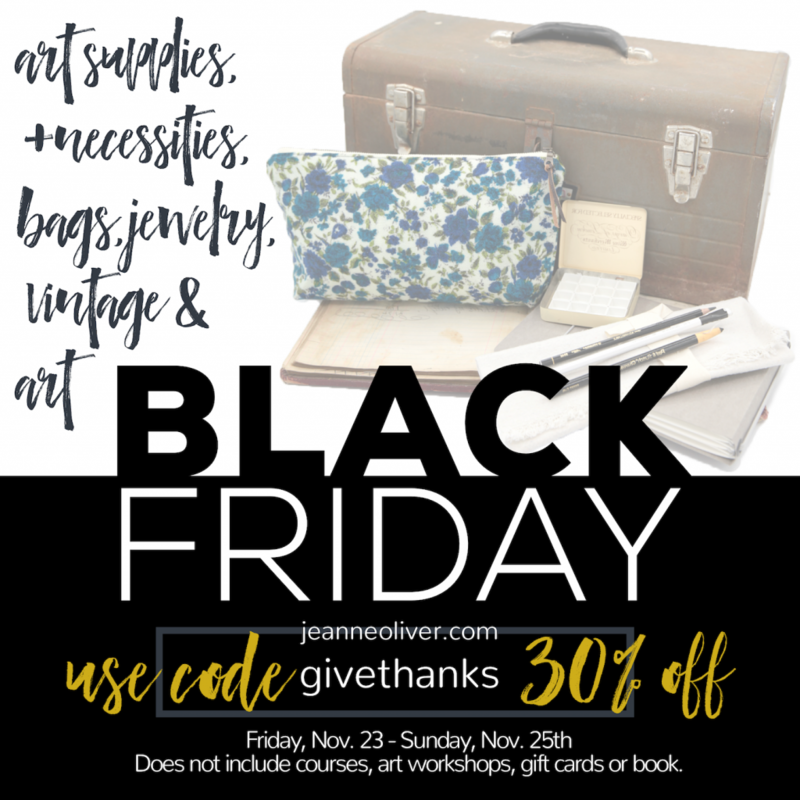 This sale does not apply to live workshops, gift cards or online courses. Thank you for shopping small! Your purchases mean everything to our family and also to so many small businesses that we have the joy of working with. To find that perfect artisan gift for yourself or someone else you love click HERE.